A few years ago, bartenders went crazy for barrel-aging cocktails. The idea is simple: make a large batch of a cocktail, put it in a barrel (preferably one that’s been used for aging bourbon or wine) and let the cocktail age, mellow, oxidize a bit, and take on the flavor of the wood. It’s basically the same thing bourbon and wine makers have been doing for ages, but instead doing it to a whole cocktail mixture. 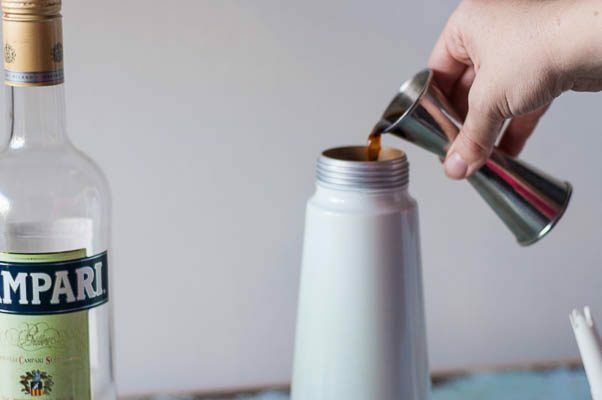 The cocktails take on vanilla notes from the wood and, depending on how old the barrel is and what it’s been holding, some of the flavors the wood has held onto. It takes a familiar cocktail and makes it deeper, richer, different. I had wanted to get in on the game, but there are plenty of reasons this is impractical for a home bar. Even small barrels hold more cocktail than I can (or should) go through in a reasonable amount of time. And where am I going to store the thing? And how in the heck do I clean it? Also, I have a pretty poor track record when it comes to making things that need to age for weeks or months. I tend to think of it when I want it, rather than weeks or months before I want it. So I sort of put the idea aside and decided it was enough to enjoy the occasional barrel-aged cocktail at a bar. 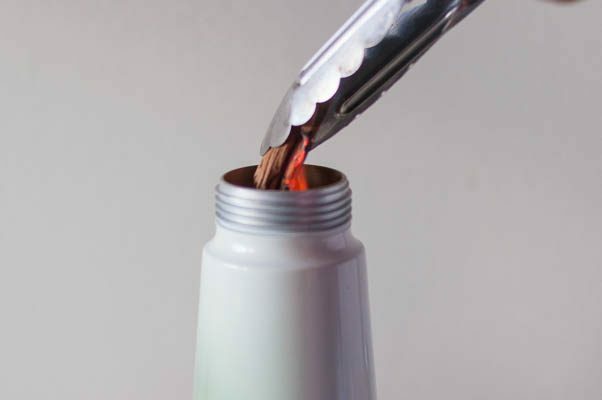 Then, a few weeks ago, I remembered something I had read about a few years back about an instant infusion technique using a cream whipper and an N2O cartridge. You add alcohol and a flavoring agent (such as herbs, spices, fruit), pressurize the container with the N2O cartridge, which forces alcohol into the cell walls of the flavoring agent, and then, when the pressure is released quickly the dissolved nitrogen comes rushing out (like in a scuba diver with the bends), bursts the cell walls of the flavoring agents, and leaves behind some furiously bubbling alcohol that’s absorbed quite a bit of flavor. It’s called nitrogen cavitation, and, it’s one of those bits of practical science that, is, for me, tough to distinguish from magic. And it’s the way I automagically smoke and “barrel age” this Negroni. Screw on the lid. Add a nitrogen cartridge and pressurize the whipper. Give it a shake and then let it sit for about a minute. Then quickly release the pressure (holding a glass over the nozzle to catch an bits of spry) and strain out the wood chips. 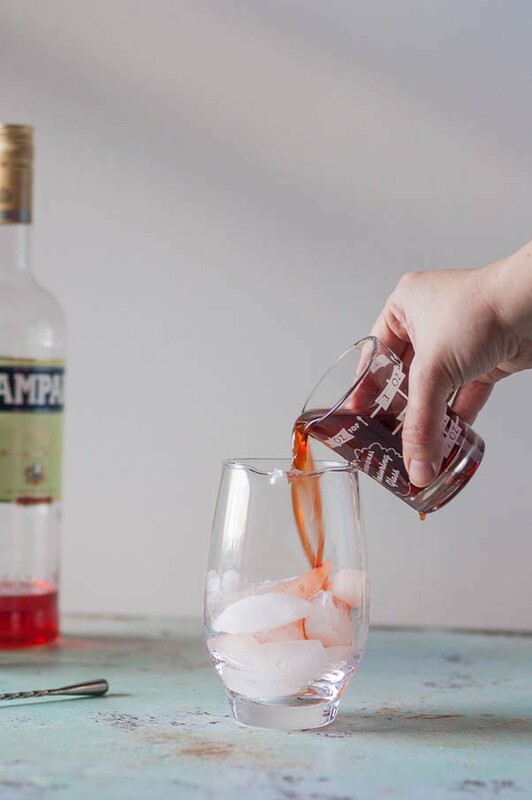 The normally brash Negroni takes on a lovely subtle smoky flavor with hints of vanilla from the wood. 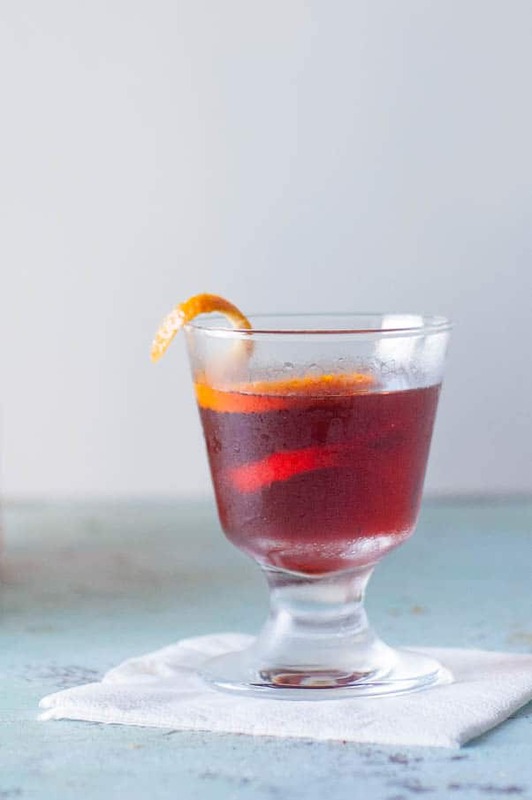 And I think it’s a fantastic twist on this classic cocktail, right up there with the Boulevardier. The smoke flavor isn’t nearly as pronounced as it is in a smoky scotch or mezcal, but it’s definitely perceptible in the background. You don’t get the same oxidation with this method that you would with actual barrel aging, but that also means you could use this method to impart that woody flavor into cocktails with more volatile ingredients like citrus juice that don’t benefit from oxidation. I like to infuse a few cocktails (usually 2-4) at the same time to be more efficient with my use of the N2O cartridges. I store whatever I’m not drinking immediately in a jar, where it will keep indefinitely. Then when I want a drink, I measure out 3 ounces, stir it with ice, and strain it into a chilled glass, and garnish with an orange twist. 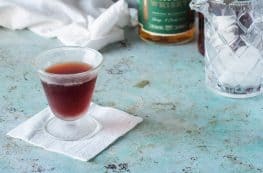 This technique could theoretically work with any cocktail, but I find the effects are more pronounced in gin drinks than in whiskey ones (which makes sense, because whiskey already has some of those flavor notes). You could soak the wood chips in some kind of liquor ahead of time if you wanted to impart more flavor. You could change the wood chips you use. I used applewood, but only because I already had those on hand (of course, steer clear of treated wood). You could add some orange peel along with the wood chips and infuse more orange flavor. I can’t wait to play around with this more, but right now, I’ll just sit back and enjoy another smoked barrel-aged Negroni. This simple technique requires wood chips, an iSi cream whipper and N2O chargers (don’t use CO2 chargers for this, it doesn’t work the same way). I like to use Punt e Mes sweet vermouth in negronis, but you can use any sweet vermouth you like. For the gin, look for a London dry style like Plymouth (the subtle cucumber notes of something like Hendrick’s would get lost here). Use wood chips intended for cooking and avoid any treated wood. I’m giving the instructions here for two drinks, one for you and a friend or one for now and one for later. You can scale the proportions up or down, just be aware of your particular whipper’s maximum capacity (which’ll be listed in the manual) and don’t overfill. I like to garnish this with a spiral twist of orange peel cut with a channel knife, but you can also use a simple piece of orange peel cut with a peeler. 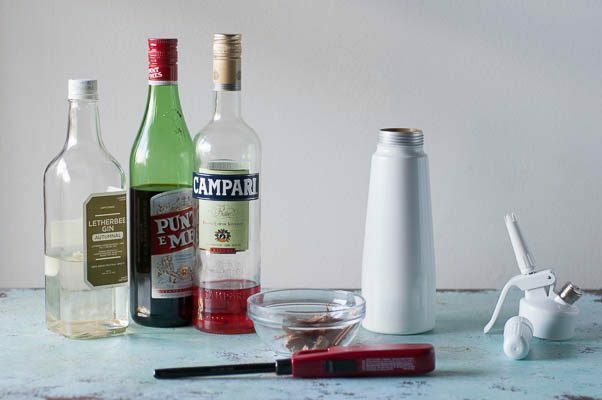 Add the gin, Campari, and sweet vermouth to a cream whipper. Light the wood chips on fire with a lighter or over a gas stove until smoldering and (carefully!) drop them into the cream whipper. Screw on the lid. Add the N2O cartridge and pressurize the container. 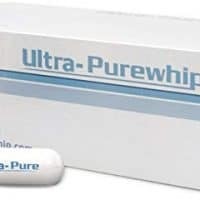 Shake the whipper and let sit for about a minute. 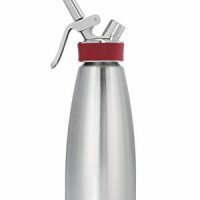 Holding a glass over the nozzle to catch any spray, quickly release the pressure on the whipper. 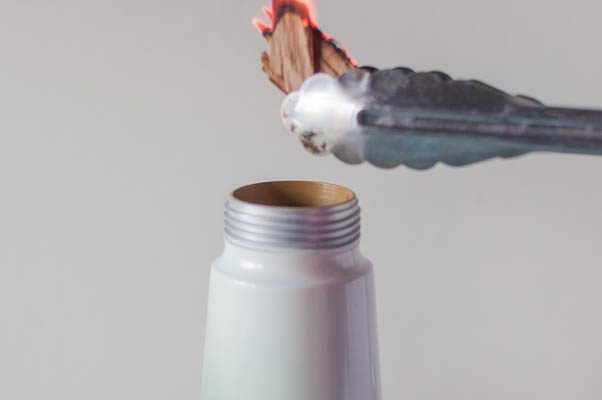 Unscrew the lid, and strain out the wood chips. Chill a glass. 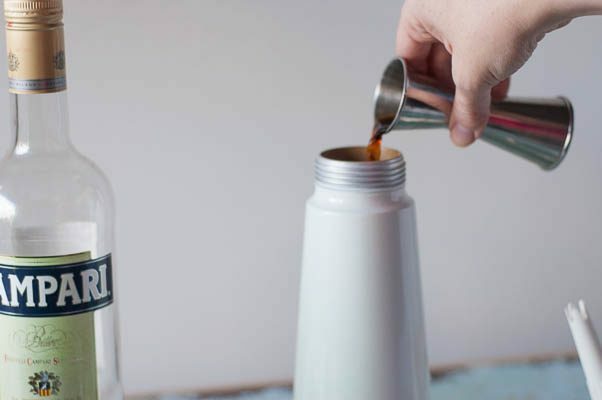 Measure out three ounces of the liquid and add to an ice-filled mixing glass. Stir until well chilled. Strain into a chilled glass. Garnish with an orange twist. Serve. ISI Gourmet Whip 1 Quart PLUS - Stainless Steel - Model 170301. Wow, I thought I’d seen some original posts, but I have to say, this one wins for today! I learned a little something, which is always a good sign. 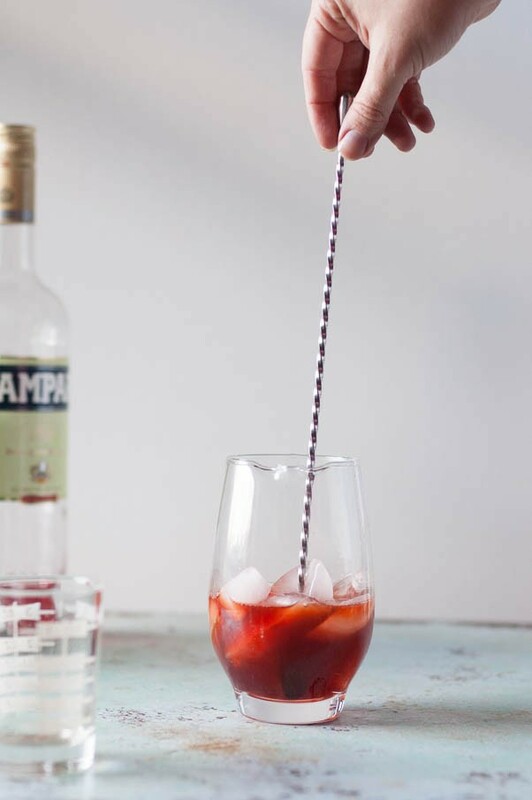 I can’t even remember what Negroni tastes like, but I’m kind of intrigued now…. Thanks, Carol! 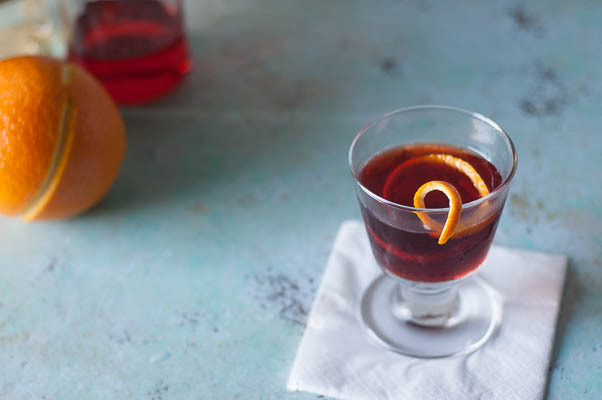 A negroni is bitter from Campari with some sweetness from the vermouth and some dry boozy notes from the gin. 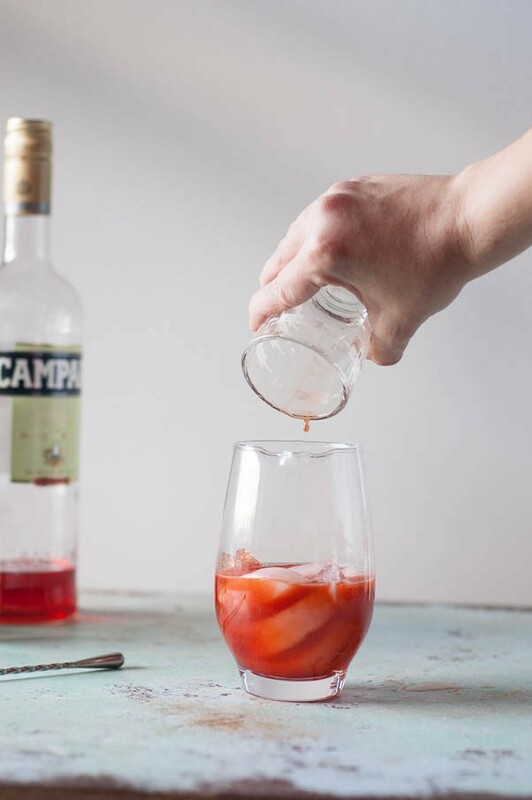 (It’s too bitter for some people–Campari is an acquired taste. Don’t let the pink color fool you.) But I love this avenue of experimentation. What a fantastic idea! WOW thank you!!! This is so cool! Thoroughly impressed over here! 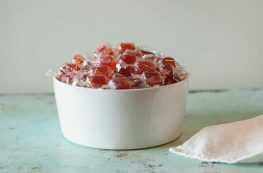 Love this, looks so tasty, pinned for later!